Firies | Endemol Australia and Network Ten. 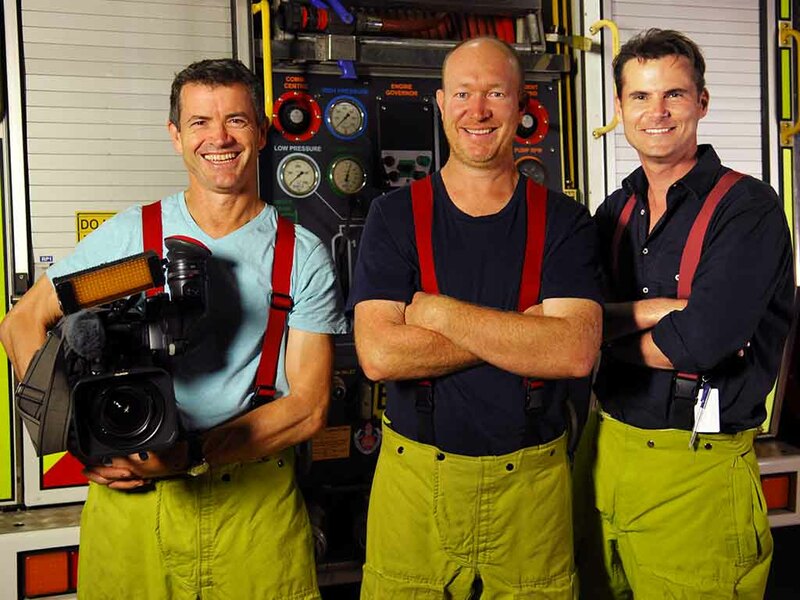 News Articles > Firies | Endemol Australia and Network Ten. Camera: Colin Budd. Sound: Craig Bronger: Producer Director: Ian Withnall. It was a boys own adventure: Speeding through the Sydney nights under lights and sirens with NSW Fire and Rescue!!! 2014 kicked off with Ian Withnall working as a Producer/Director/Camera on an observational documentary series about the NSW Fire and Rescue Crews. Eight Episodes Produced by Endemol for Network Ten. Premiers October 11 2014 at 6pm. Ian was part of Firefighter D Platoon for three months, responding to Fires, Motor Vehicle Accidents and general rescue work. Producing highly emotive and dramatic story lines mixed with the every day camaraderie centred around station life. As well as Producer/Director and second Camera for each Emergency Event, Ian also produced and directed the day to day station life and the high end production work used throughout the program. Click Here to see the info on the Firies series. Liverpool D Platoon Fire and Rescue Crew. Photo by Ian Withnall.